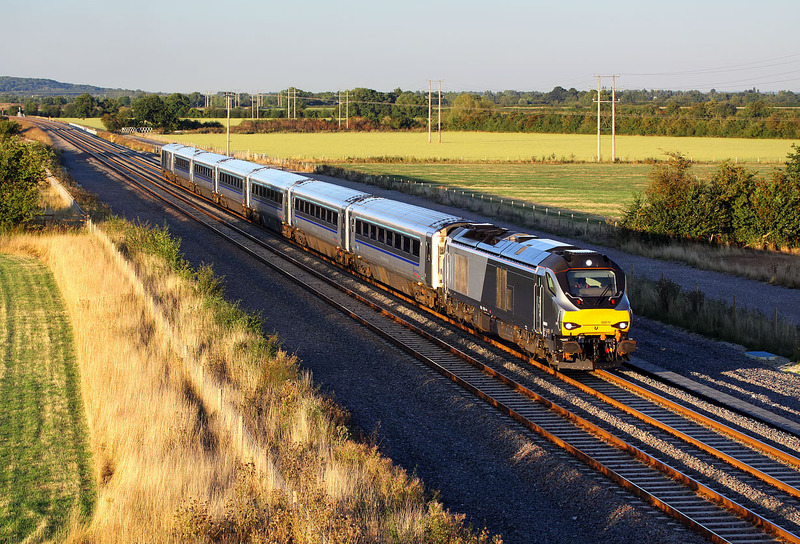 68010 passes Oddington in superb evening light on 26 August 2016 with the 1T54 18:18 Marylebone to Oxford Parkway Chiltern Railways service. Luckily this was running exactly to time, as at the end of August this is only 45 minutes away from sunset. This new viewpoint has already become quite well known, being an easily accessible bridge on a no through road with virtually no traffic. How many years it will be before those bushes alongside the lineside fence ruin the pictures is anyone's guess!